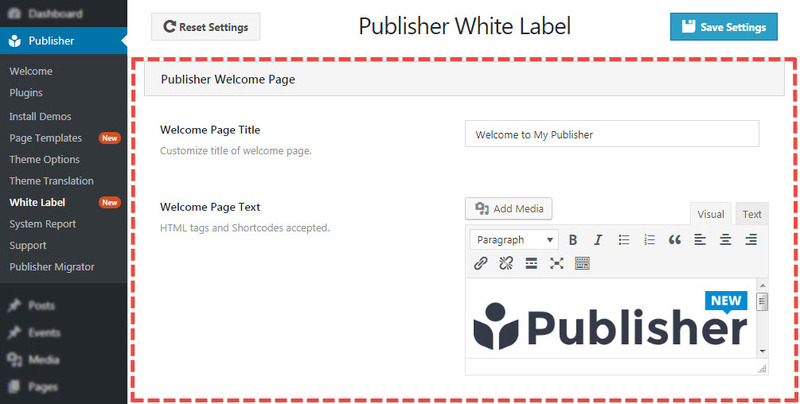 A set of options to integrate Publisher more with your website. Now you can customize some default icons, names and texts which come with Publisher and WordPress. 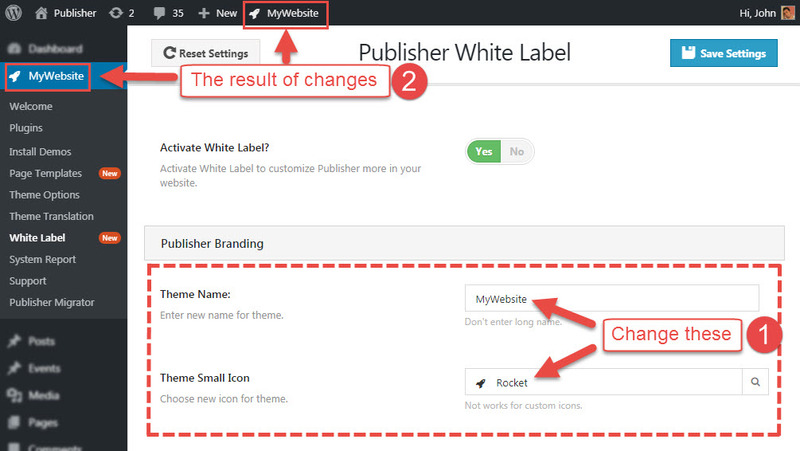 For finding “White Label” options go to Publisher → White Label, switch Activate White Label to “Yes”. First option is Publisher branding. Please see below image, it shows both the changes and also the result of changes. Theme Name: Select a new name for theme instead of “Publisher”. Theme Small Icon: Show your icon beside of theme name. As you see in above image, new name and new icon is displayed instead of Publisher’s defaults. Change the WordPress logo in login page of your website. Select an image in this option. The result of this change is in below image. Customize Welcome page in theme panel. Welcome Page Title: Customize title of Welcome page. Welcome Page Text: Just like post editor, write what you want in this page. Even shortcodes are supported. Below image shows the “Welcome” page after changing title and text. All administrator users can see the White Label panel by default but you can select a specific user to show this panel only for that user.